The blind bard, not Simpson. Sadly, this is all we know about the Jewish Homer. The brief notice reminds us of how many interesting ancient works have been lost to us. This should make us humble in our historical claims as we recognize that our evidence only gives us impartial glimpses into the past. 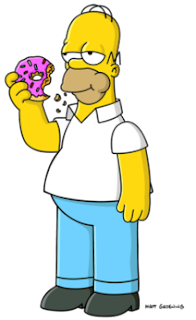 So who was the Jewish Homer, and what can we speculate about him? When? Fortunately, our text gives us a date! Unfortunately, its chronological information is confusing and contradictory. Both Cohen in his original article and Burgess in his very recent article have sorted through the chronological evidence, and my hat goes off to them and other scholars who engage in that kind of detailed and painstaking research. Their conclusions differ, with Cohen ultimately uncertain of whether Sosates wrote in the late 2nd century BCE or the early/mid 1st century BCE, but leaning more towards the former. Burgess opts for the latter. Where? The text locates Sosates in Alexandria, Egypt. There was a large Greek-speaking Jewish population in Alexandria, as well as a strong tradition of Homeric study/scholarship, making it an ideal place for a 'Jewish Homer' to live and write. The fact that Sosates was mentioned in this later Christian writing may mean that he continued to be read and used centuries after he lived. If so, perhaps there are bits of manuscript sitting away in a library somewhere waiting to be discovered! For now we can just marvel that Theodotus and Philo were not the only Jewish Homers in the Hellenistic world, and perhaps wonder about the ways in which early Jewish and Christian prose writings may have also been influenced by Homer. Indeed, Dennis MacDonald cites Sosates, Theodotus, and Philo as evidence for the influence of Homer on the Judeo-Christian traditions when he argues for Homeric influence on prose works like Tobit, the New Testament and the Acts of Andrew. Burgess, R.W. “Another Look at Sosates, The ‘Jewish Homer.’” Journal for the Study of Judaism 44 (2013): 195-217. Cohen, Shaye J.D. “Sosates the Jewish Homer.” Harvard Theological Review 74, 4 (1981): 391-396. Also reprinted here.